With a couple of beautiful days this weekend, we are back to unseasonably dry winter weather. The temperatures squeaked up to almost 50 F both days, so the bees were flying a little. We are still eating lots of things from the garden. Earlier in the week, Ellen picked about a bushel of collard greens and kale and made a delicious torta with the greens and a few eggs. Today was a great day to poke under the row cover and pick some salad. The four-seasons lettuce is the favorite. I keep picking the lower leaves, and the plants eventually make more. We could certainly eat more than the plants grow this time of year, but anything is nice! 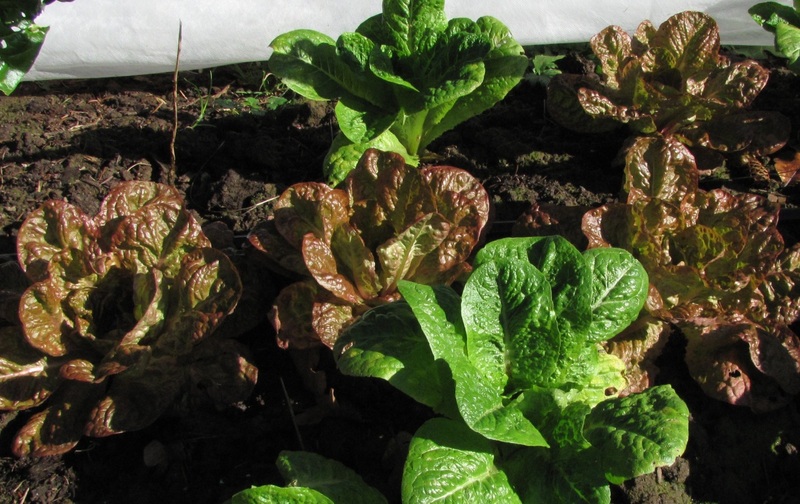 The arctic density romaine also keeps going, though with somewhat less vigor. 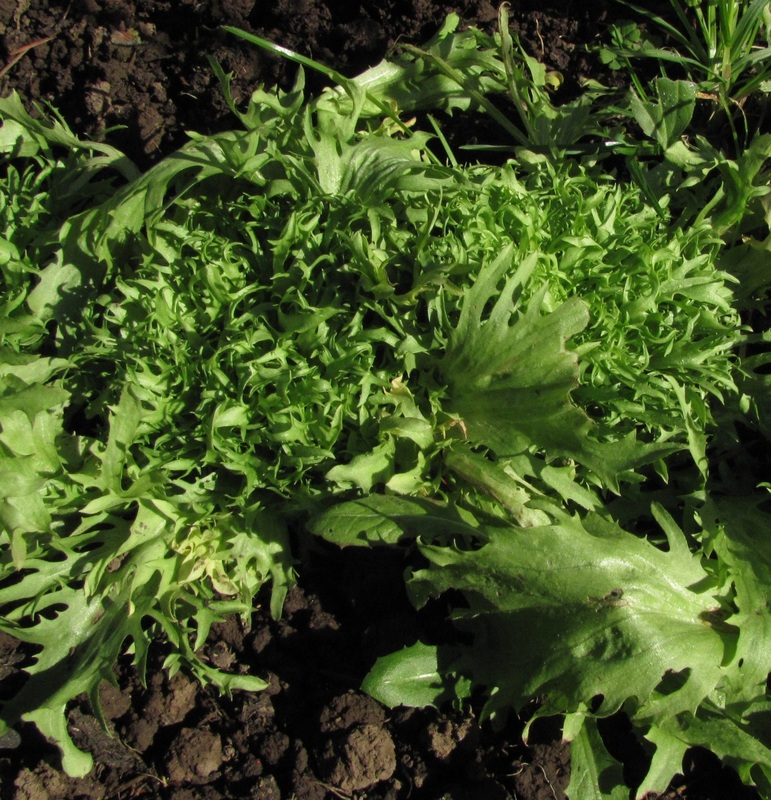 Besides lettuce, the mizuna and mustards provide spice to the blend. These cool weather greens are the sweetest in the winter. Last fall I scattered some seed that I thought was arugula along with the fava bean cover crop on a section of empty garden. Turned out the seed was some mizuna/mustard blend/cross rather than arugula – perhaps some seed I picked up at a seed swap, or just a mistake – who knows, but it sure likes growing between the favas, and it’s a plentiful addition to the lettuce. Curly endive is another delicious addition to winter salads. The tight frilly plants are best pulled completely. The center self-blanched section is delightful, with just a touch of bitter this time of year. 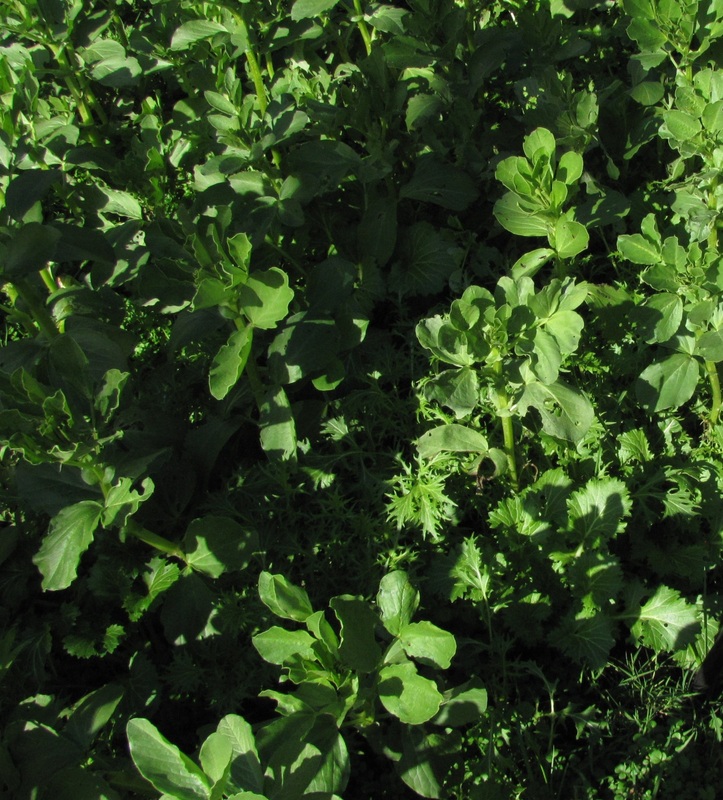 Another slow-growing winter green is mache, a.k.a.corn salad. 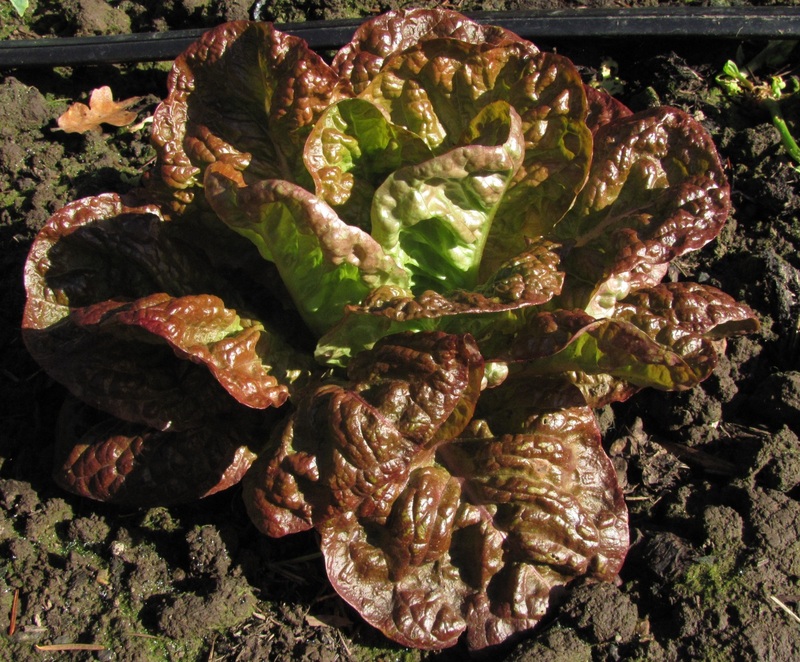 Also best picked by the entire rosette, this tasty green imparts a lingering perfume-like favor to the salad. The endive and the mache would probably do just fine without the row cover protection, but the mache at least, grows a little more steadily under cover. The nice weather gets me wondering if I should throw some seed in the ground in empty spaces under the row cover. It’s also getting time to start onions and leeks inside. It’s always a good idea to take a look at Nick’s spring seeding guide about now, to remind yourself when those seeds should get started. 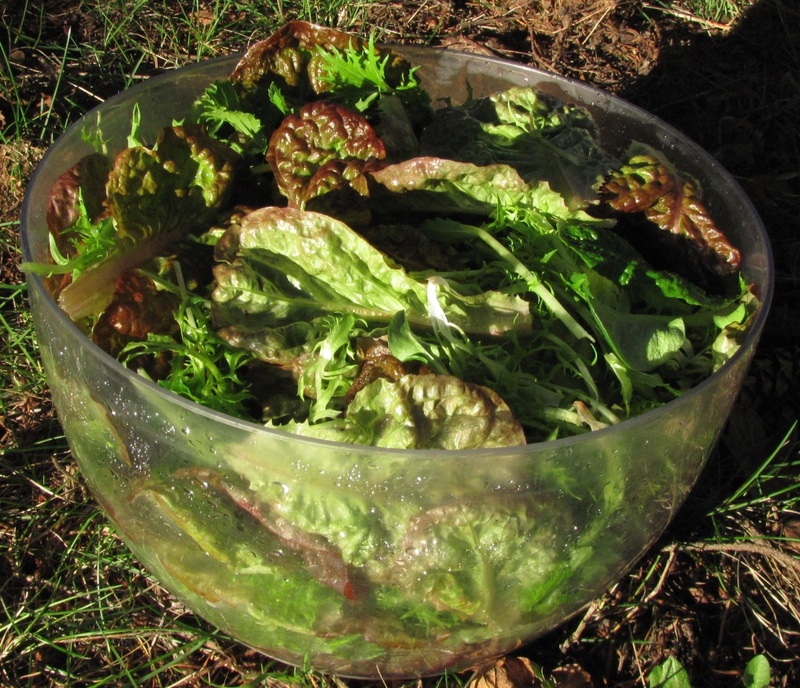 We’ve got to keep the lettuce coming for late spring eating! Gary- The lettuce look great! Ity appears that you have managed to grow it with just a remay row cover and not inside a cold frame. Hasn’t this dry sunny weather been strange? I have certainly gotten more outside clean-up/Spring Prep done earlier than ever before :) My big fear is this will all end and we will slip into wet and cold until July like last year! Hi Lexa, Yes, just remay. I got the inspiration last year from the Urban Farm at the UO where they had beautiful four season lettuce fully headed in March. It’s been a little too easy of a winter to be a good test, but seems worth doing again next year as well. It’s so simple! There is never two years the same – we will just take what we get!